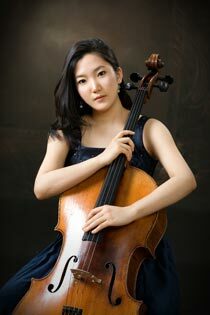 Cellist Hee-Young Lim made her Kennedy Center recital debut at the Terrace Theater in 2007. A winner of numerous competitions, Ms. Lim, a native of Korea, has won the Washington International Competition for Strings, the Barnett Foundation Competition, and the Sorantin International String Competition. She captured the grand prize at the IBLA International Competition in Italy, where she was given a Special Mention and recognized as a Most Distinguished Musician. She joined Astral Artists’ roster as the winner of its 2009 national auditions. Ms. Lim has performed at Carnegie Hall, Jordan Hall in Boston, Miller Theater in Houston, Seoul Arts Center, Sejong Center for the Performing Arts, and Kumho Art Hall in Seoul. She was a featured performer at a special concert marking the anniversary of Korea-China diplomatic relations, and she has given solo recitals in Canada’s Jeunesse Musicales’ Debut Series, the Kumho Prodigy recital series, and for the Korean National University of Arts. The Adam International Cello Festival in Christchurch, New Zealand, featured her in the world première of a solo work for cello by Robin Toan. Ms. Lim received a bachelor’s degree from Korean National University of Arts, where she was the youngest student ever accepted and completed her master’s degree at the New England Conservatory of Music in 2009. Ms. Lim currently attends the Conservatoire National Supérieur de Musique de Paris where she studies with Philippe Muller.